The global platelet rich plasma & stem cell alopecia treatment market report comprises an elaborate executive summary, including a snapshot that provides information on various segments of the market. It also provides information and data analysis of the global market with respect to segments based on treatment, indication, end-user, and region. A detailed qualitative analysis of drivers, restraints, and opportunities of the market has been provided in the market overview section. Additionally, the section comprises a competitive matrix and profiles of key market players, along with business overview, to project the competitive landscape of the market. The section also provides presence of key players working in the development of stem cell and platelet rich pharmaceutical products, thereby presenting a thorough analysis of the overall competitive scenario in the global platelet rich plasma & stem cell alopecia treatment market. Based on treatment, the global platelet rich plasma & stem cell alopecia treatment market has been segmented into platelet rich plasma therapy and stem cell therapy. The stem cell therapy segment has been further classified into bone marrow treatment and adipose treatment. In terms of indication, the global platelet rich plasma & stem cell alopecia treatment market has been classified into androgenic alopecia, congenital alopecia, cicatricial or scarring alopecia and others. Based on end-user, the global platelet rich plasma & stem cell alopecia treatment market has been divided into hospitals, dermatology clinics, and others. The market size and forecast for each of these segments have been provided for the period 2018 to 2026, along with their respective CAGR for the forecast period 2016 to 2026, considering 2017 as the base year. 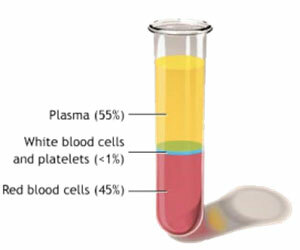 In terms of region, the global platelet rich plasma & stem cell alopecia treatment market has been segmented into five major regions: North America (the U.S. and Canada), Europe (the U.K., Germany, France, Spain, Italy, and Rest of Europe), Asia Pacific (India, China, Japan, Australia & New Zealand, and Rest of Asia Pacific), Latin America (Brazil, Mexico, and Rest of Latin America), and Middle East & Africa (South Africa, GCC Countries, and Rest of Middle East & Africa). The market size and forecast for each of these regions and the mentioned countries have been provided for the period 2018 to 2026, along with their respective CAGR for the forecast period 2016 to 2026, considering 2017 as the base year. The research study also covers the competitive scenario in these regions. The report also profiles major players operating in the global platelet rich plasma & stem cell alopecia treatment market based on various attributes, such as company overview, financial overview, pipeline portfolio, product portfolio, business strategies, and recent developments. The players covered in the report include Kerastem, Eclipse, Regen Lab SA, Stemcell Technologies, Inc., RepliCel Life Sciences, Histogen, Inc., and Glofinn Oy.